The museum’s Argus was one of twenty purchased by the RCAF in 1958. It flew with 415 Maritime Patrol ‘Swordfish’ Squadron at CFB Summerside until 1981, hence the swordfish markings on the tail of the aircraft. The Aurora replaced the Argus when 415 Squadron was moved to CFB Greenwood. 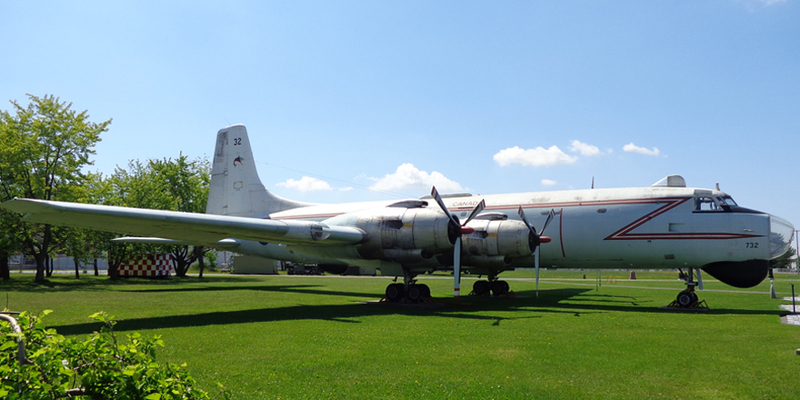 This Argus was stored at Mountainview and painted at CFB Trenton before it was brought to the museum.